It's all about action with the latest trailer from 4J Studios. 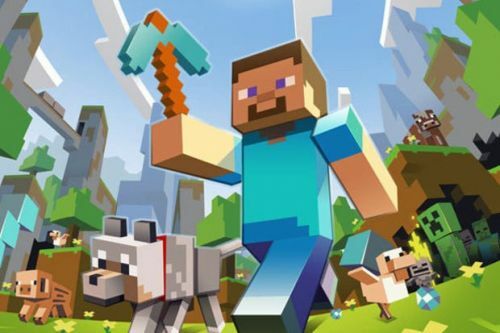 They have been teasing update 9 of Minecraft: Xbox 360 Edition for some time now. The main addition with this latest Minecraft update is the Enderdragon. Like we covered in a previous article, players will be able to collect a special item to travel to "The End" and face the Enderdragon in combat. It is no minor affair, and only the best equipped and battle-ready characters will be victorious. This is due to the fact that the Enderdragon has a few nasty tricks up his sleeve this time around. We covered the new and improved Enderdragon a while back, who has crystals protected by iron bars and comes with the ability to spray liquid acid on the players. The trailer is certainly action packed, offering a tutorial on how to get to the Enderdragon. It also features many of the new skins available in the latest skin pack. While there is no firm release date for update 9, OXM reports that it has almost finished the bug testing phase, and that we can expect a full list of changes in the next few days. In the meanwhile, take a look at the trailer below. Page created in 0.3394 seconds.